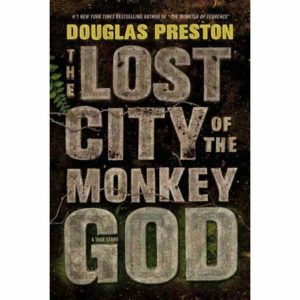 The Lost City Of The Monkey God, by Douglas Preston rediscovers an ancient lost city! The book The Lost City of the Monkey God, by Douglas Preston, literally takes you on an enchanting journey through the world’s densest jungle. The journey which takes the reader on a ride to explore the reality behind the five-hundred year old legend, an ancient course and a medical mystery that leaves you in awe! The plot revolves around the ancient city called the White City, which is supposed to have immense hidden wealth. The rumors of the city’s existence dates back to the times of conquistador Hernán Cortés. Also known as Lost City of the Monkey God, people have for ages since tried to find this city that exists in legends. Douglas Preston in this book has shared the real life experience of one of the greatest discoveries of this century. And unlike Theodore Modre, who took the journey in 1940s and claimed to find the city, but then committed suicide before revealing its location, Douglas lives to share the experience and take us through an excruciating adventure in this book. Myths surround around the natives that anyone who will try to enter the city will get cursed, fall ill and die. But our author, Douglas, takes on the challenge to solve the mystery and prepares alongside a team of scientists and sets on a quest to find what’s hidden in the Honduran interiors. Their partner in this voyage – a machine called Lidar, is a specialized machine based on the most advanced technology which will be used to map the terrain under the rainforest canopy of the Honduran jungle. The valley contains a lot of dangers to throw at the writer and the team of scientists, but it did not deter Douglas from discovering what many thought was undiscoverable. It was a discovery that brought into life not just a lost city, but an entire civilization. By the time Douglas comes out he has all the evidence to support the discovery of this enigmatic city! And through his book, Douglas pens a masterpiece that takes the readers through this exciting journey. 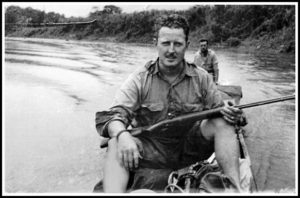 Some of the highlights of the book include the way Douglas has brought into life those raw and treacherous trails and breathtaking wilderness. Battling the torrential rains, insects, disease-prone condition, muddy trails, and the fear of wild animals like jaguar and snakes amalgamate to give chills in the spines of readers. But, wait there’s a slight twist in the end. On their return, the author and the team accompanying him to the jungle find out that adversity has struck. 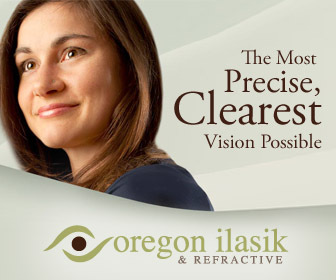 They all have been contracted with an incurable disease, which leads to the death of its prey. What happens next? Do they survive? Is the author still alive? Were they able to justify the finding of the Lost City of the Monkey God? This hair rising adventure steps into the history books to create a wonderful read, which you are truly going to enjoy!